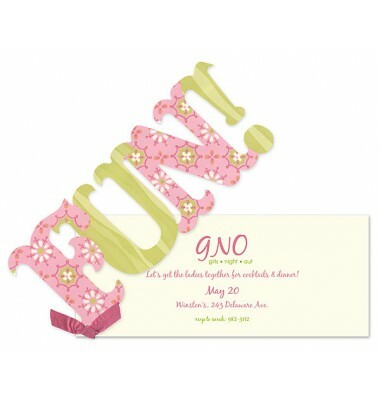 This fabulous two piece invitation features a glittering diecut of the word FUN tied to a cream base card. 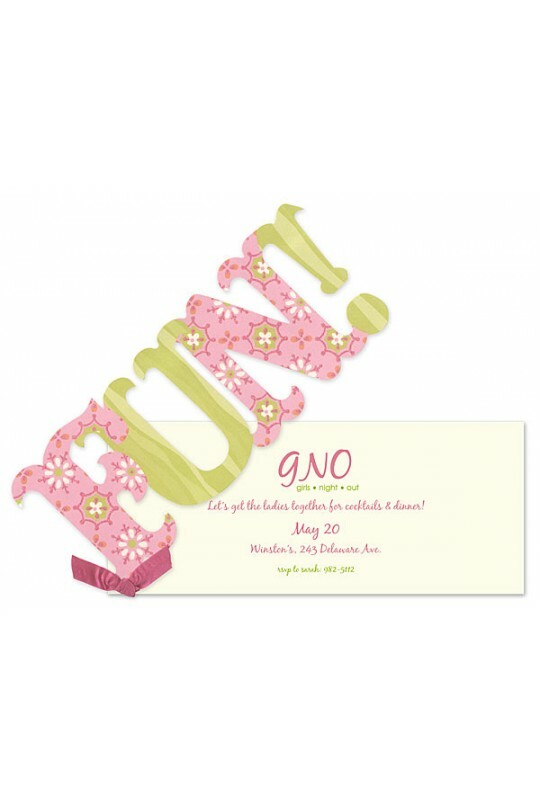 Your party information is printed on the base card and then attached to the die cut with a ribbon. 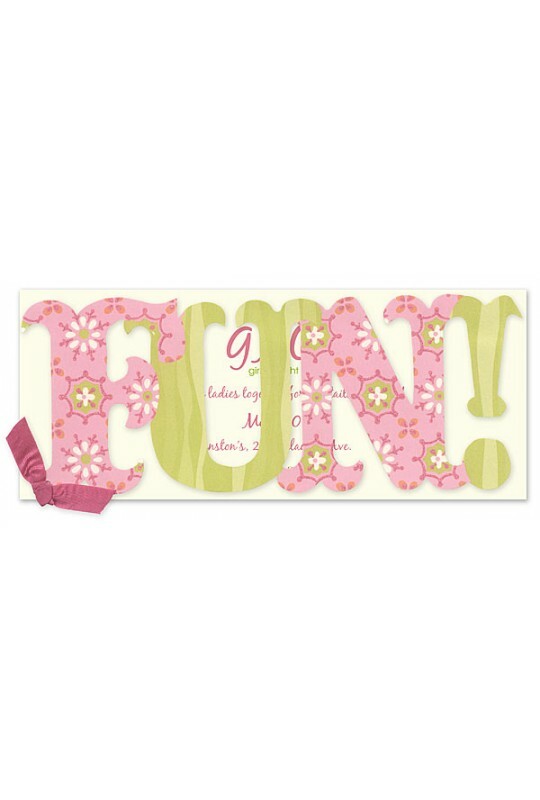 Colors include pink, green and cream. Perfect for birthdays, showers, luncheons and more. Cream envelopes included.